Sorority paddles can sometimes be a controversial symbol in the greek system that aren’t always understood by all college campuses. If your school and sorority allow them, then you know what a meaningful tradition crafting and gifting the perfect paddle can be to your sorority experience. Whether it’s to welcome a new member into the sisterhood, or a gift to a big for all she’s given you, paddles are such a fun and personal part of greek life. And although there are themes and trends of paddles, no two paddles are the same, which makes them that much more special. 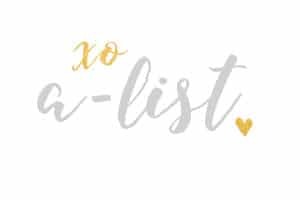 Here at A-List we rounded up a master list of the cutest themes to inspire your next sorority paddle! Rustic paddles are trendy pieces that are super in style right now. The rustic theme is big with weddings, recruitment, home decor, and more. These cute wood stained paddles with simple white writing are too cute. With small flower and twine accents, these simple paddles are brought to life. Being a twin can be so fun! Start your new twin relationship off right with crafting the perfect paddles for your big together! Matching paddles are too cute and the possibilities here are endless. Make them identical, have the two paddles come together to form one image, or make them one theme, but different in your own way. Your big will love to see her littles coming together! Themed paddles are awesome, especially if you know exactly what your big will love. Making a themed paddle can be so sentimental and show your big that you listen and care about what she really loves! Give her a Lilly Pulitzer or Kate Spade themed paddle, go the movie route and make a Harry Potter or Disney movie themed paddle, or if she loves the show Friends, then make a friends themed paddle! “The One Where She Gets a Paddle.” Whatever she loves, just make it special and personal! Flowers are so cute and they’re such an easy way to dress up or fill in blank space on a paddle. Use small flowers for the trim, the handle, or in the corners and watch your paddle come to life! With glitz and glam you can never go wrong. Decorate your paddle for the perfect princess who you get to call your big! Add sparkles, bows, rhinestones, and pearls to spice up your paddle. Don’t let anyone dull your sparkle! The aztec/tribal mandalas are a creative center for your paddle. Whether you keep it simple with just a few colors or have every color of the rainbow swirling out, this center will be so fun and eye catching and perfect to hang in your big’s room. And finally, for the artists of the srat world, we have the masterpieces. Once in a while, we come across the Van Gogh of our sorority era, a woman who loves to craft and is pretty much the best at it. 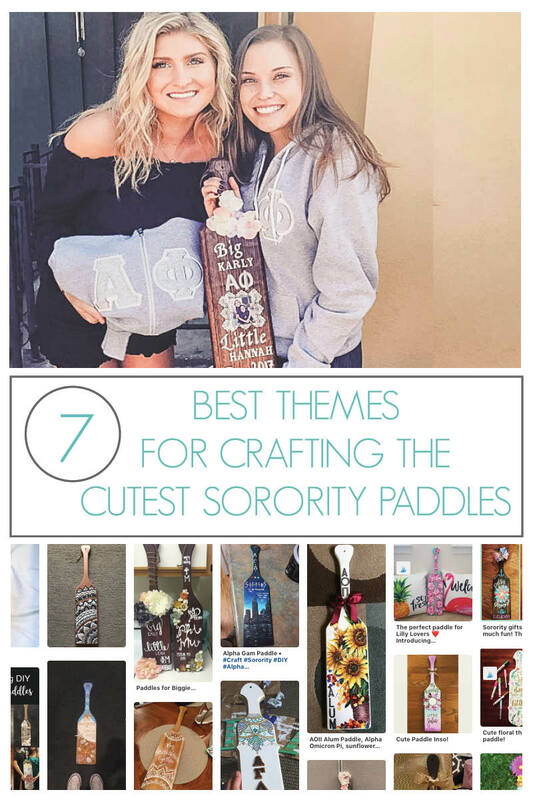 If that’s you, congratulations, this cutest sorority paddles category is for you! Our very own A-List team member Jenna is this girl for us and here is a picture of her paddle she made for her big last year! This jaw-dropping masterpiece is one for the books! If you’re capable of something this epic then go for it, because this is something your big will keep and hold close forever! Sorority paddles are meant to be special gifts between bigs and littles. Whether you are Miss Van Gogh or you are stenciling and tracing your way to perfection, your sister is going to love and appreciate anything and everything you make! If you’re not quite feeling confident enough to start crafting just yet, make sure to check out our last post on Pinterest Paddle Crafting for even more amazing paddle ideas and read this post right here for the best tips on how to actually start crafting and painting! This entry was posted in Members Only: A blog for chics and Greeks alike. and tagged Crafting, Greek Life, Paddle, Sorority Life.